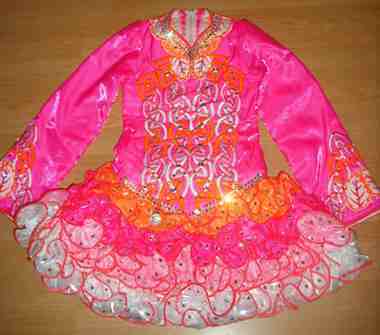 Stunning pink, orange and white Gavin Doherty dress. With the style of the skirt you can add or take-away a ruffle. 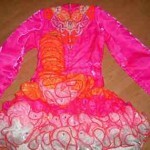 This dress is covered in over 700 Swarovski crystals and looks fantastic on stage. Dress comes complete with bloomers and headband. 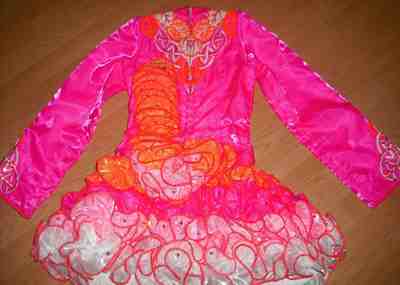 It is also in excellent condition, odour free and comes from a smoke and pet free home. Dress is only 10 months old. Asking Price: £950. Shipping costs not included. Sale is final.